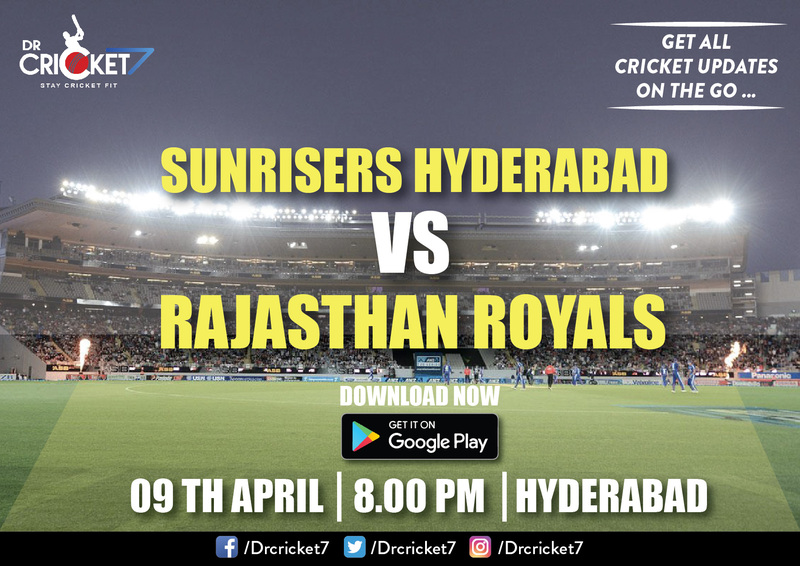 Sunrisers Hyderabad will open their VIVO IPL 2018 campaign when they take on the returning Rajasthan Royals in Match 4. SRH’s pre-season plans must have fallen into disarray after their regular captain David Warner – one of the two players they chose to retain – was banned by the BCCI following certain events on the Australian team’s tour of South Africa; the franchise have since handed the reins of the team to Kane Williamson and signed on Alex Hales as a replacement. The franchise retained Bhuvneshwar Kumar and then used the right to match card to re-sign Shikhar Dhawan, Deepak Hooda and Rashid Khan at the Player Auction. Rajasthan Royals, who are back in the competition after two years, too had to reorganise their plans last minute because their first-choice captain Steve Smith too was banned by the BCCI. The franchise named Ajinkya Rahane as the captain for the season; they have also roped in Shane Warne – their title-winning captain – as Team Mentor. At the Player Auction, RR spent liberally and signed up some exciting talent, including the English all-rounder Ben Stokes, the wicketkeeper-batsman Jos Buttler and recent T20 sensations D’Arcy Short and Jofra Archer. SRH fell out of the race in the Eliminator last season; they will be keen to go the distance this season and hope to lay their hands on the silverware yet again. 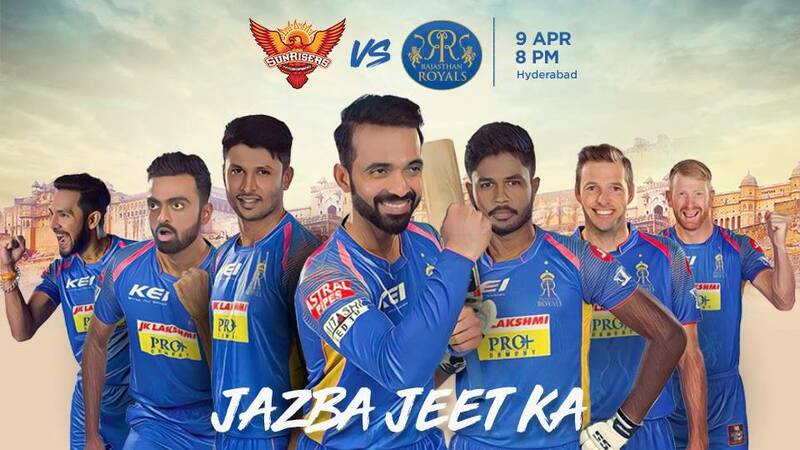 RR will want to celebrate their return to the IPL with a win. Shikhar Dhawan has been in excellent form so far this year, and he will be expected to shoulder additional responsibility to make up for the absence of David Warner. In Alex HalesSRH have an equally dangerous specialist opener; the Englishman has a batting strike-rate of 143.54 in T20s. Captain Ajinkya Rahane and Sanju Samson are the Rajasthan Royals’ key Indian batsmen. The team management will have a tricky decision in picking their overseas batsmen; considering Ben Stokes will be a certainty, RR have to pick at least two more specialist batmen from among D’Arcy Short, Jos Buttler and Heinrich Klaasen. 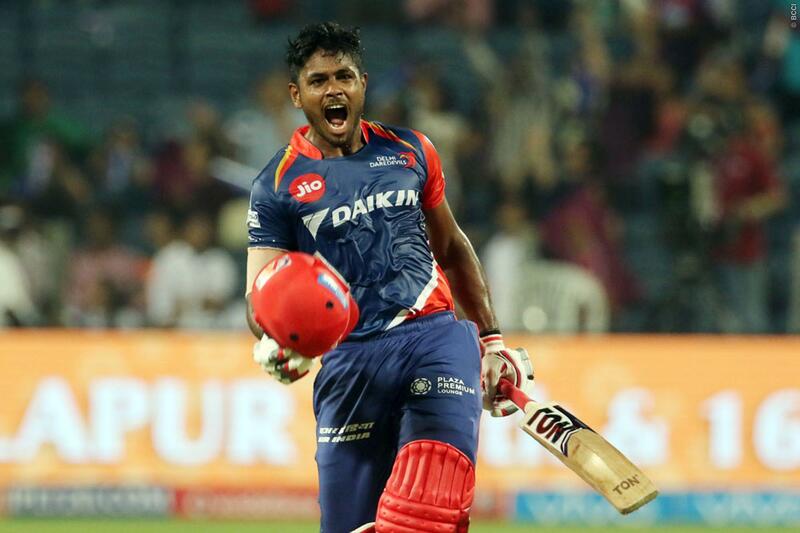 JaydevUnadkat was brilliant in VIVO IPL 2017, and it wasn’t a surprise therefore that his stocks soared at the IPL Player Auction 2018; RR eventually baggedUnadkat coughing up INR 11.5crore,making him the most expensive Indian player in the Auction.With that kind of price tag comes the responsibility, and the 26-year old will be expected to repeat, or even better, his last season’s performance. Ben Stokes is another bowler in the RR line-up capable of making things happen. In the SRH line-up, Bhuvneshwar Kumar – the Purple Cap winner in the last two IPL seasons, and Rashid Khan are the ones likely to cause most damage with the ball. The Kolkata Knight Riders opened their account in VIVO IPL 2018 after they defeated Royal Challengers Bangalore by four wickets at the Eden Gardens on Sunday night. After opting to bowl first, KKR restricted the visitors to 176-7. The home team’s chase was given the sails by opener Sunil Narine, who blitzed his way to a 17-ball half-century. KKR lost their way briefly when they lost three middle-order wickets in a short period of play, but skipper Dinesh Karthik (35*) stayed to the end and got the job done. KKR got over the finish line in the penultimate over. Where to Watch Watch IPL 2018:IPL 2018 will be broadcast on Star Sports 1, Star Sports 1 HD, Star Sports Select 1 and Star Sports Select 1 HD in English Commentary. It will also air on Star Sports 1 Hindi and Star Sports 1 Hindi HD in Hindi commentary. They are the official broadcasters of the tournament. Live Streaming Information: The match will be live online on Hotstar.